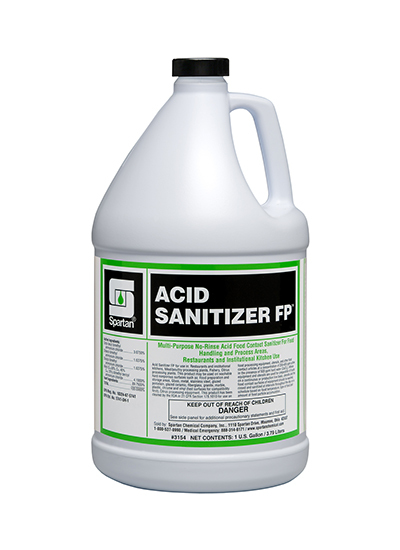 Acid Sanitizer FP is a concentrated phosphoric acid formulation designed to clean and sanitize a variety of surfaces commonly found in dairy, beverage, food processing and farm applications. Acid Sanitizer FP is an acid cleaner sanitizer for use on food processing and dairy equipment in water up to 600 ppm hardness (as CaCO3). For all soiled equipment, a preliminary cleaning is required.